Am still planning engine upgrade work this year now my wallet has recovered from last year's extravaganza and also booked in for several track days so inching towards going for it. Any thoughts from those who have made the change ?? I never felt I needed bigger brakes, even on track. I tend to use engine braking together with the brakes, even on the road. The bigger brakes increase unsprung weight too so I was looking at two piece front brakes from Racing Brake. They are the same size as standard brakes but have an aluminium hat. The other option to have a look at, is better cooling for the front discs from Gert. Standard brakes in well serviced and good order should be all the brake you'll ever need on UK roads IMO. I actually prefer the look of the understated standard Black Caliper, Red has always been a little "shouty" for my liking! Cheers. I had the same thought on unsprung weight, interesting option in upgrading the discs. Presumably the pads can be upgraded also. Hey Carl. Yes I agree on the road use more from experience cooking brakes on track in other cars. 100% on the black calipers. Red would look hideous with the colour of my car so would have to tricolour anyway. Did 928s not have "big blacks"? The 928 manufactured in the same year was a good 200kgs+ heavier so it's possible the anchors were a little beefier, particularly with the V8 lump over the front axle. 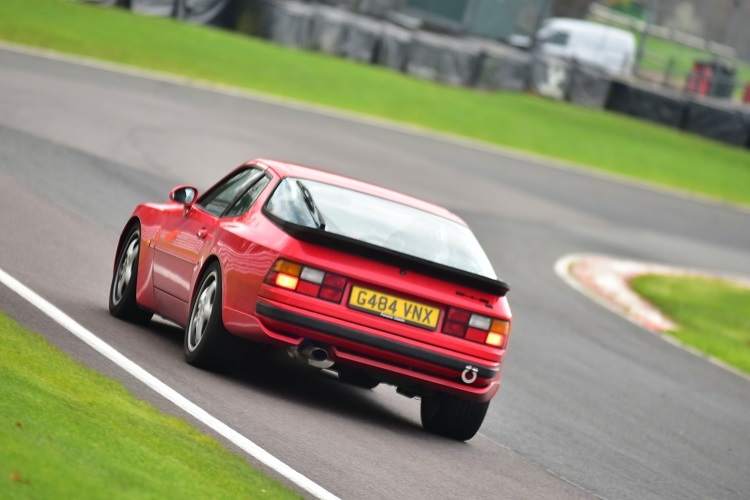 928 GTS "Big Blacks" were same size as 993RS and Turbo "Big Reds"
I have 993 std calipers on my 944 front same size as M030 with 928 discs but you have to flip the bleeder and cross pipe and you need an adapter to mount them radially. With normal Textar pads they work really well on track. I agree that std discs and calipers on a 993 in good order are totally adequate even for trackday use. Your problems will all be behind you. Cheers. I knew I had read that somewhere on the "big blacks", didn't know it was GTS only. I will go ahead and get the discs and pads changed and then take it from there. Will get the calipers checked over and refurbed if necessary. Are the Sebro discs the OEM option? Make sure you check around. Often they are the cheapest but the saving aren’t quite what they seem as they hike up the price prior to the “big sale”. Bought a new Bosch S5 battery from them in the weekend as I need it within the hour so clicked and collected for £98 using the 50% off code so down from £196 but it’s hardly 50% when the std price on their sister site carparts4less lists the same battery for £128 (and they always have £15 off) and I could have bought from a few other places at £100. Good for batteries if there is a branch near you when you need to swap under warranty. Had a quick check and the brake parts are a brilliant deal. Just deleted the battery from the basket however!! Whats the view on braided hoses with SS connectors, goodridge or similar as an upgrade whilst the brakes are being done?